The perfect gift for any Teacher. 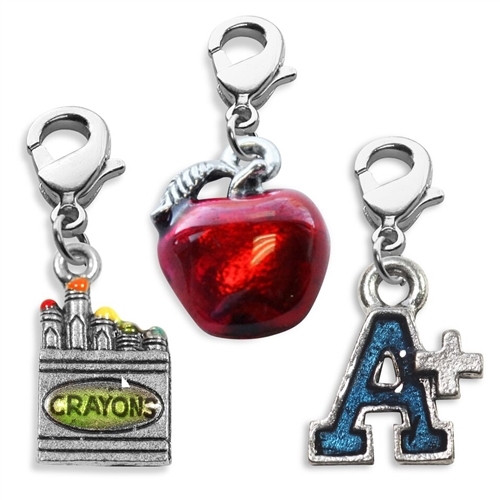 Give that special Teacher a gift they will remember with this colorful Teacher themed charms. 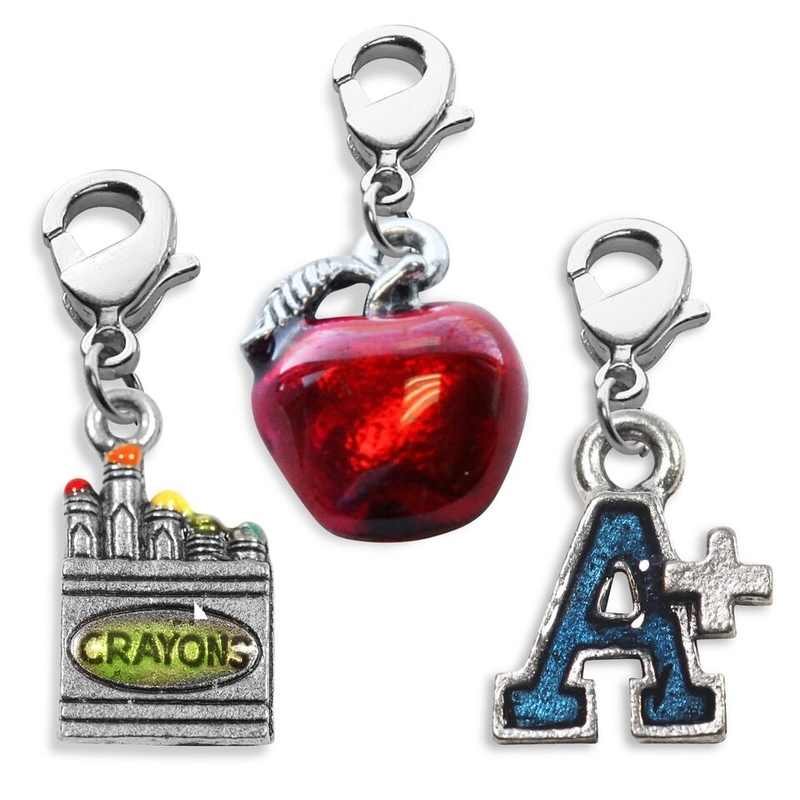 Whether you prefer gold or silver, this Teacher themed charms will coordinate with your favorite Whimsical Watches, Whimsical Earrings or Whimsical Bracelets. It fastens with a lobster-claw clasp for easy on and off. 18" length expandable to 20". Lobster claw clasp in front for easy charm change out, making a colorful statement for any occasion!